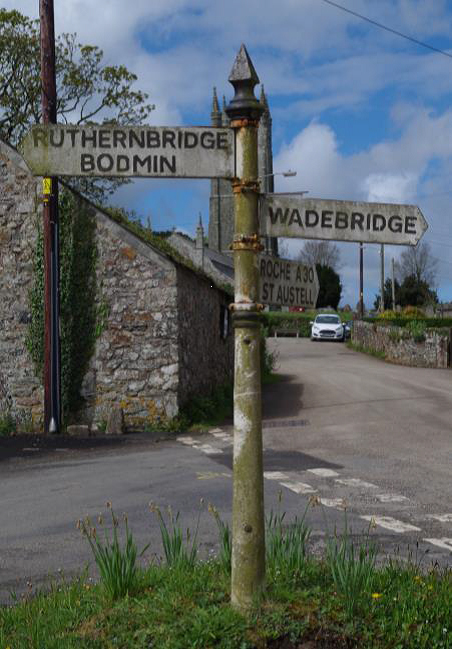 The strange and bewildering story of the BBC and Withiel’s treasured signpost was set out at the February meeting of Withiel Parish Council, where it was explained that hopes had been raised, then dashed, that the historic but deteriorating fingerpost would be refurbished at no cost to the Parish. The Returning Officer of Cornwall Council has confirmed that the regulation 10 requests from electors have not been received and the Council can now fill the casual vacancy by co-option. North Cornwall MP Scott Mann has successfully introduced his first legislative bill in Parliament to give parish and town councils the power to hold community referendums to alter speed limits. End of the year. That’s the estimate for when we’ll hear whether and how Withiel’s broadband problems are to be overcome. It seems that however much time passes the answer is six months off, but that’s what Superfast Cornwall’s Julian Cowans told the Bodmin Community Network Panel meeting in July.